“Hraparak” writes that on the eve of signing the coalition agreement Heghine Bisharyan from the “Rule of law” party was offered to be the Minister of Labor and Social Affairs. But she refused the offer and said that she would work in the Armenian Parliament. She also denied the position of the deputy speaker of National Assemble as she said she was very busy in the party. Third post of the “Rule of Law” will be known today. “Zhokhovurd” writes: “It is supposed thatYerevanformer Mayor Gagik Beglaryan will refuse his mandate in the Parliament soon.” According to the newspaper’s well-informed sources he soon will get the post of the Minister of Transport and Communication. According to the newspaper Samvel Nikoyan will become Minister of Nature Protection. 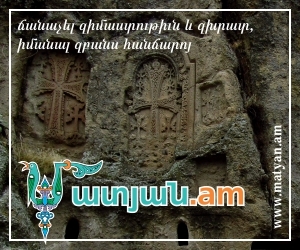 “Haykakan zhamanak” writes that “Prosperous Armenia” will have four committees in the newly-created Armenian Parliament. Those committees are Euro-integration, human rights, agriculture and nature protection committees. According to the newspaper Naira Zohrabyan will be the leader of the Euro-integration committee. She will also be the secretary of the “Prosperous Armenia” fraction in the Parliament. The newspaper writes that “Prosperous Armenia” will also have vice chairmen in three other committees.